Our friend Robert Mawson passed away on November 22. RIP Bob we’ll miss you. The text below is liberally paraphrased from his obituary. Born in County Durham in the northeast of England in August 1943 he became a boy soldier in the British Army to escape work in the coalmine. He was stationed in Menden, Germany with the British Army of the Rhine from 1961 to 1968. He subsequently returned to the U.K. and, as Regimental Sergeant Major taught cadets at the Royal Military Academy at Sandhurst. Unable to advance in the army for health reasons he left and began a career as a salesperson for a Danish company, Hugo Kragh Design. He and his Danish wife Karen Lassen had one daughter, Katia. In 1974, at the age of 31, he was rushed to the hospital for open-heart surgery, where the Danish doctors installed two synthetic heart valves and gave him five years to live if he lived a sedentary life. Bob ignored their predictions and set about living his life – often travelling extensively. Divorced from his first wife, in 1984 he met and married our friend and colleague Marcia Brewster and they had twin sons, Matthew and Marshall. In 1986 their Thai nanny introduced him to a form of meditation. After transfers to Thailand and back to NY Robert continued working as a salesperson and taking care of his sons. He also continued his interest in meditation. While studying and completing various meditation retreats, he was discovered as someone who exceptionally excelled in an advanced form of meditation, known in the Buddhist meditation world as Dhammakaya. He became the first westerner to be invited by the Abbot of the largest temple in Thailand to be taught meditation one-on-one directly by the Abbot himself. After passing many tests to prove his proficiency, in 1998 he became the first western lay person authorized to teach this form of meditation. Three years later he was ordained as a Buddhist monk (on a short-term basis), where he instructed many people in meditation while wearing the sacred saffron robes. Since then, he has been a meditation instructor all over the world, and has taught tens of thousands of people the power of unifying their body, mind and spirit through proper meditation and life. He faced a number of health challenges throughout his life, mainly in the last 15 years, and he came to be known as the “Medical Miracle Man”. Following a number of operations and cardiac arrests, he received a heart transplant in 2003. The operation was performed by Dr. Mehmet Oz and was filmed by the Discovery Channel for “Second Opinion with Dr. Oz”. 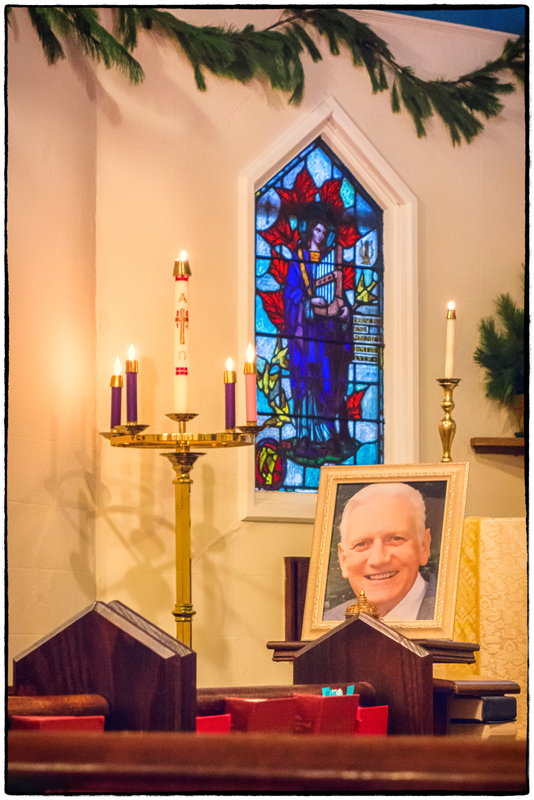 A celebration of his life was held at Grace Episcopal Church in Hastings-on-Hudson on Sunday December 21, 2014 at 4:00pm. This entry was posted in Black & White, Buildings/Structures, People, Places. Bookmark the permalink.